For the last few years, I’ve leaned towards DIY Christmas gifts for my loved ones – in part because budgeting for gifts is extremely difficult on a single income, but also because I love making things. After spending hours and hours trying to decide what the “best” gift for this person or that person might be, I threw caution to the wind last year and made almost every gift I gave. 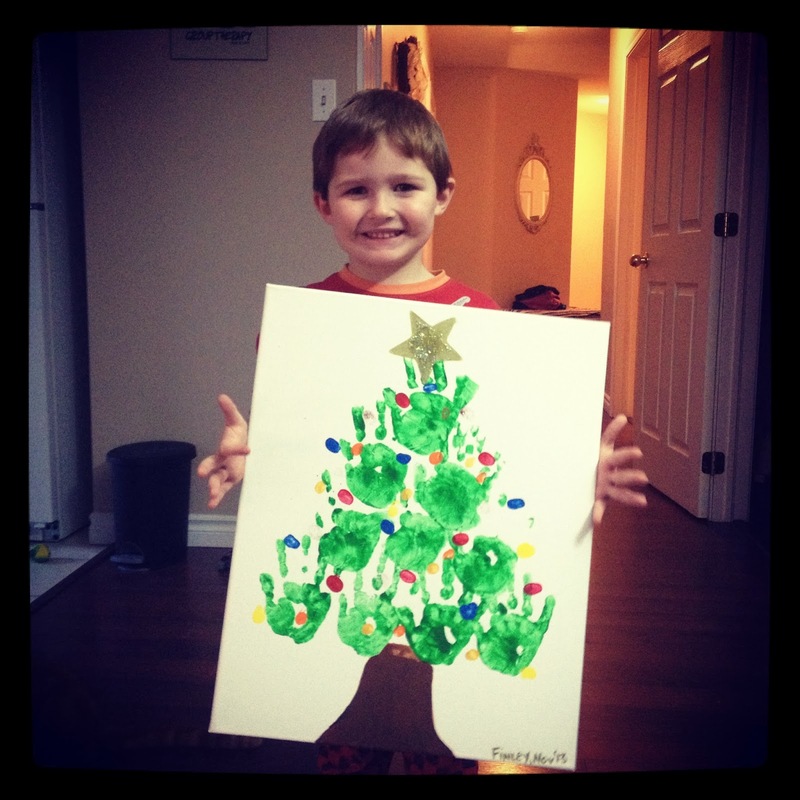 My favourite DIYs involved my son’s hands and feet, first with our Christmas Tree canvas and second, with our LOVE canvas collection. We had a BLAST, but clean up was a whole other ball game – especially the time my son ran down the hall with paint on his feet. Oops! This year, my Christmas lead-up has been lonely as my son is in Cape Breton with my family until we get him into a preschool in our new city (it’s a nightmare). It’s excruciating to be here in Moncton all alone during a time of “togetherness”, but I found a way to survive my (hopefully) last solo-weekend before Christmas: all kinds of COOKIES. FOURTEEN DOZEN cookies to be exact (I don’t care if I ever bake another cookie again). It was a tiresome weekend, let me tell you. Who knew baking could cause such a sore back? Anyway. Ginger cookies, shortbread cookies and these super easy sugar cookies – including a flop involving whole wheat flour and way too little sugar – and I’ve got no room left in my freezer. At least my other cookies don’t require an oven. And now, I’m sharing the love. Easy and delicious: just the way I like my cookies! 2. Mix flour, baking soda and salt in a medium bowl; set aside. 3. Cream together margarine and 2 cups sugar until smooth. Beat in eggs, one at a time then add vanilla. Blend well. Gradually mix in dry ingredients and stir until just blended. 4. Using a tea spoon, scoop dough and roll between your palms to create walnut-sized balls. Roll balls in sugar and place on ungreased cookie sheet. Flatten each ball with the bottom of a glass or other flat instrument. 5. Bake in preheated oven for 8 - 10 minutes, or until just golden. Ashley is an East-coast dwelling, single mum to one preschooler, Finley, and Duncan the Wonder Cat. She went back to school to become a non-profit fundraiser, and found herself working for a tech start-up a province away. She has the propensity to be a little feisty, but tones it down for her day job as a public relations and marketing dweeb. Shoes are her best friend. When she’s not playing dinkies, drinking coffee, blogging, or searching for the perfect pair of jeans she’s got her cat-eyed peepers out for Mr. He Just May Be The One.